Going deeper into relaxation, you enter the elusive and mysterious Theta state where brain activity slows almost to the point of sleep, but not quite. Theta is the brain state where magic happens in the crucible of your own neurological activity. Theta brings forward heightened receptivity, flashes of dreamlike imagery, inspiration, and your long-forgotten memories. Theta can bring you deep states of meditation. A sensation of “floating” and, because it is an expansive state, in Theta, you may feel your mind expand beyond the boundaries of your body. Theta rests directly on the threshold of your subconscious. In biofeedback, it is most commonly associated with the deepest levels of meditation. Theta also plays an important part in behavior modification programs and has been used in the treatment of drug and alcohol addiction. Finally, Theta is an ideal state for super-learning, re-programming your mind, dream recall, and self-hypnosis. Theta waves range between 4-7 HZ. Theta is one of the more elusive and extraordinary realms we can explore. It is also known as the twilight state which we normally only experience fleetingly as we rise up out of the depths of delta upon waking, or drifting off to sleep. In Theta, we are in a waking dream, vivid imagery flashes before the mind’s eye and we are receptive to information beyond our normal conscious awareness. Theta has also been identified as the gateway to learning and memory. Theta meditation increases creativity, enhances learning, reduces stress and awakens intuition and other extrasensory perception skills. 1. The preparation, which involved the production of what we might now call an altered state of consciousness. What was this negative little voice that undid the affirmations even when they were realistic? Is this related to the common observation that conscious plans (“I’m going to lose 25 pounds after the holidays.”) often seem to go awry? It seemed to us that it might have something to do with the processes called defense mechanisms (DMs) by Freud. About this time some research carried out by Foulkes and Vogel (1965) seemed very relevant. At the University of Wyoming these researchers found that as people passed from full wakefulness through a drowsy Stage 1 to a deeper asleep Stage 2, they sequentially passed through distinct stages in the processing of information. An important conclusion was that as the individual passed from wakefulness to sleep a loss of volitional control over mentation tended to occur first, followed by loss of surroundings, and finally loss of reality testing. 1. As individuals become drowsy and pass into sleep, their brain rhythms change from predominantly alpha, to fragmented alpha, to low amplitude theta. 2. Paralleled (though not perfectly) with these EEG patterns are sequential ego states showing an increasing impairment of ego functions. Many others have studied the unusual properties of the twilight state, e.g., Froeschels (1949) postulated that, ” . . rules of association radically different from the rules of the waking state govern the formation of thought in the hypnagogic state. He concluded that the unconscious plays a major role in hypnagogic thought . . . ” (p. 24). T. X. Barber (1957) had his dissertation featured in Scientific American. His study looked at the hyper-suggestibility of the twilight sleep. Barber found that subjects were just as suggestible in a light sleep or in a drowsy condition as when they were hypnotised. A quote from one of his subjects is illuminating: “I was just sleepy enough to believe what you were saying was true. I couldn’t oppose what you wanted with anything else” (p. 59). Barber believed it was possible that suggestions could be presented to people in a light sleep to help overweight people reduce, heavy smokers to cut down and timid people to gain confidence. A dissertation by Felipe (1965) at Yale produced results that supported Barber’s conclusions. Testing the effects of tape recorded attitude change information presented during waking, drowsy and deep sleep conditions, Felipe found that the information changed attitudes toward interracial dating only in the drowsy condition. Svyandoshch (1968), a Russian sleep researcher, has said, “Speech assimilated during sleep, in contrast to that assimilated during the waking state, is not subjected during assimilation to the critical processing . . .” (p. 112). The Russian scientists have studied the effects of sleep learning for years, and for years Rubin (1970) studied them. In his book Current Research in Hypnopaedia, Rubin (1968) concluded that the common denominator among successful sleep-learning studies is that “superficial sleep” (Stages 1 and 2) is the psychophysiological background for maximum receptivity. It’s interesting to note that the Russian sleep learning technique involved repetitive sessions over weeks or months. They also placed emphasis on establishing the correct set or expectancy for learning and retention prior to the sleep session. In contrast, most sleep-learning studies in the U.S.A., which were inconclusive, did not establish a positive set and did not incorporate multiple sessions. Quite a while ago DeManaceine (1897) was interested in the degree of suggestibility present in a drowsy or twilight state. She gave her subjects two types of suggestions while they were in transition from waking to sleeping: “Intellectual ” suggestions, e.g., math, such as 3X2=5, and “emotional” suggestions such as “The building is burning down.” A suggestion was considered successful if the person repeated the experimenter’s statement or accepted it without protest. Among adults, the intellectual suggestions were 25% successful and the emotional ones were 45% successful, however, the children showed an 85% repetition/acceptance of the intellectual suggestions and a 97% repetition/acceptance of the emotional ones (Schacter, 1976). In light of the more recent theories of left/right hemispheric functioning we might say that the children were more “right-brained” or less defended than the adults. The psychodynamic model would predict that as people grow into adulthood they layer on more defenses which operate even down through the unconscious levels of the mind. The ’60s and ’70s were a decade of incredible discoveries about the human brain. Roger Sperry of Cal Tech received the Noble Prize for his research on the lateralization of function in the left and right hemispheres. David Galin, in a landmark article in the Archives of General Psychiatry (1974), brought all the new lateralization facts to bear on Freud’s model of the unconscious. The functions of the non-dominant hemisphere did indeed appear to provide a good fit with Freud’s model (Budzynski,1976, 1986). Even the great neuroscientist Sir John Eccles noted, “Strictly speaking, therefore, we can state that the actions effected by the right cerebral hemisphere are unconscious actions” (1976, p. 118). A more recent update of this model was forwarded by neuroscientist/clinician R. Joseph (1992), who noted in his book, The Right Brain and the Unconscious,“Indeed, a few neuroscientists and researchers who specialise in the study of the brain (such as I) have argued that the so-called unconscious mind is in fact a manifestation of right-brain and limbic-system mental activity” (p. 21). Given that the right brain appears to play a major role in the implementation of unconscious process, and that much of the “deep rooted” negative self-image, and early trauma material is buried in the unconscious, how does one get past the critical screening left hemisphere in order to change the negative scripts into more positive, adaptive ones? Interestingly, our development of the Twilight Learner preceded the brain lateralization breakthroughs of the mid ’70s. The rationale for the device was based in part on the hypnosis literature and the dynamic model postulated by Freud and examined by Foulkes and Vogel as noted above (Budzynski, 1971, 1972, 1986). Additional research considered in the design were the vigilance studies of Dimond and Beaumont (1972, 1974). In the early ’70s these researchers carried out an interesting series of studies using a vigilance paradigm. They managed to separate left and right hemispheric performance on vigilance tasks. This is what they concluded: “The left (hemisphere) is capable of sustaining high levels of performance, but as intense activity to detect small and infrequent signals from the environment is particularly demanding, performance cannot be consistently maintained, and hence, the decline sets in. The right hemisphere, however, while apparently not capable of such high levels of performance, unless sustained by the left, maintains its performance steadily, beyond the point at which performance of the left hemisphere has deteriorated seriously. The right hemisphere appears therefore to provide a skeleton service in vigilance, a minimum service capable of maintaining performance after decrement occurs in the left hemisphere” (p. 69). These vigilance studies lent support to the concept that the right hemisphere remains functioning at cortical arousal levels which are either too high or too low to support critical thinking in the left hemisphere. The key then to the puzzle of why the high arousal of some primitive healing ceremonies or the low arousal of stage 1 sleep should produce a hyper-suggestibility may be the fact that significant changes in cortical arousal, either high or low, result in a shift from left dominance to right. This premise was diagrammed in Psychology Today (Budzynski, 1977), and Budzynski (1990). Essentially, one can imagine a continuum of functional cortical arousal level range that is smaller for the dominant hemisphere, i.e., this hemisphere’s proper functioning requires an arousal level that is neither too high or too low. In contrast, the non-dominant (usually the right) hemisphere can function at both higher and lower arousal levels than can the dominant. The “windows” at the high and low ends exist at the levels where the left cuts out but the right is still functioning. It is at these windows that critical screening and many of the defense mechanisms are inactivated, yet these windows also permit the change message (whether taped affirmations or the therapist’s voice in the microphone) to be absorbed as best it can by the right or non-dominant hemisphere. Hypnosis using a deep relaxation induction would be one example of rescripting through the lower window. Based on the explosion of left/right lateralization research and theorising, we wondered if stand-alone EEG feedback machines with digital quantifiers could detect switching in lateralization as subjects were hypnotised. We hypothesised that individuals entering the hypnotic state would show a shift toward increasing right hemisphere activation. If so it would fit the model we were refining that postulated that a predominant shift toward right brain dominance would be characterised by an increase in the left/right alpha ratio and an increase in suggestibility. In 1974 we used two Alpha/Theta (AT-1) stand-alone feedback units driving two Digital Quantifiers to measure accurately the the alpha band voltage from the T3 – T4 mono-polar leads as subjects underwent hypnotic induction. Figure 1 shows a typical graph of the L/R ratio as it changed from the baseline (B1) and gradually increased as the hypnotic induction proceeded. Each 5-trial block represented an average of 5 – 30 sec. samples read out on the Digital Quantifiers. The CO designation is the first average taken as the subject was “coming out” of the trance under the direction of the hypnotist. The B2 level shows that even after awakening the L/R ratio remained higher than before the induction. We saw this effect linger as long as 20 minutes in some cases. Only one of the six subjects reported afterward that she had not been hypnotised and Figure 2 shows the graph from this session. Note that the L/R ratio actually decreases indicating an increasing left dominance as this individual resisted “going under” as she referred to the hypnotised state. More recent studies (Bick, 1989; Sabourin, Cutcomb, Crawford, and Pribram, 1990) indicate that high hypnotisable subjects show more theta in their waking EEGs than low hypnotisable, although both types show increased theta, or lowered cortical arousal while hypnotized. Wickramasekera (1988) has shown that lowered frontal EMG levels increase hypnotic susceptibility. One might conclude, if somewhat tentatively, that suggestibility increases as the nondominant hemisphere increases in activation relative to the dominant side, and/or as cortical arousal lowers. CAN A THETA STATE BE FACILITATED? In a 1969 Ph.D. dissertation (Budzynski) it was shown that the lowering of facial and neck EMG levels through EMG feedback resulted in a decrease in cortical arousal and the appearance of theta frequencies in the EEG. This phenomenon was verified in later studies (Budzynski, 1973, Sittenfeld, Budzynski, & Stoyva, 1976) which indicated that theta energy in the EEG was inversely related to frontal EMG. Moreover, subjects who presented with high frontal EMG levels required EMG feedback to lower those levels before they could use theta feedback to increase theta energy. In contrast, those with initial low levels of frontal EMG were able to use theta feedback to increase their theta levels without any preliminary EMG training. In addition to the research noted above, the use of the procedure known as REST (restricted environmental stimulation) has contributed to the body of knowledge supporting the model of the brain that hypothesises an increase in suggestibility as cortical arousal lowers. REST is usually taken to mean the sensory deprivation chamber or the float tank environment. Postulating a Dynamic Hemispheric Asymmetry model Budzynski (1990) endeavoured to show that the increased suggestibility developed in individuals in the float tank or sensory isolation chamber was the result of a change in dominance from left to right hemisphere. The basic paradigm for addictions applications involved a set for decreasing the behaviour, the experience of the sensory isolation, and, in most cases, the presentation of tape recorded change suggestions at intervals during the isolation. Suedfeld and Baker-Brown (1987) found that 3 and 12 month follow-ups showed smoking reductions of 51% and 34% respectively. Borrie and Suedfeld (1980) had earlier shown that 24 hour chamber REST plus weight loss suggestions resulted in a greater weight reduction than just REST alone or other control conditions. Cooper, Adams and Scott (1988) reported that only two and one-half hours of REST plus a message produced a mean reduction in alcoholic intake of 55% after two weeks. At three months follow-up the mean alcoholic intake was reduced 61% and after six months the reduction was still good at 59%. The small sampling above of the rather large body of research arguing for the hyper-suggestible, enhanced absorption with decreased critical defending, theta state, suggests the possibility of the production and maintenance of such a state for purposes of changing maladaptive habits, addictions, poor self-image and setting a strong course for achieving goals. This is the state where the “little voice” is not heard. The question then becomes – – How can this state be produced reliably without hypnosis, waiting for the individual to fall asleep, or using an exhausting primitive ceremony? A second question might be – – How could such a state be maintained for at least the better part of a therapy hour? Bertini, Lewis & Witkin (1969) also studied the hypnagogic or twilight state but with the goal of developing an experimental technique which could facilitate drowsiness, reverie and free association. They reasoned that, “The transitional nature of the hypnagogic state makes it an especially fertile period for the production of primary process material. Loosened controls partly resulting from the drowsy state seem to make the primary thinking more accessible to observation” (p. 94). Their induction technique involved the generation of a monotonous white noise and the use of “ganzfeld” glasses made up of halves of ping pong balls to produce a homogeneous visual field. In addition to this mild sensory deprivation technique, Bertini et al also stimulated their subjects with highly emotional material this state attained just after the presentation of the conflict material they could study the work of the primary process in resolving the conflict. The subjects reported recall of experiences, images and feelings from childhood, woven in with thoughts about current events in their lives. One could say that there was an integration of early emotional material with the present day adult perspective. When we tried Bertini and Witkin’s technique we discovered that subjects either found it uncomfortable or they went to sleep. Moreover, white noise is harsh and grating on the nerves. Therefore, when we incorporated part of their technique in the Twilight Learner we used a variation of white noise called pink noise. It is a softer sound, somewhat like a wave washing up on the beach. As we refined the Twilight Learner a good deal of trial and error was required. A perfect setting of the thresholds meant that the filters were adjusted such that when the individual was showing theta, the tape recorded theta message was played. The subjective impression afterward was of being aware of having heard a voice but not recalling any of the material. After we had found the perfect settings of the filters for my EEG I began using a self-esteem enhancing tape each night. About the fifth session I was surprised to find that I could hear the message. I immediately assumed that there was something wrong in the electronics, however, the unit checked out perfectly. On a hunch I had a friend do a quick single channel EEG on me. Over the years I had many such records made in the course of our studies. To my surprise, my formerly “clean” theta was now interspersed with alpha and beta. My brain had learned to turn on the tape recorder with the theta, and it had later learned to mix in some higher frequencies so that it could consciously listen in on the message. In those years brain plasticity was not part of our model and the sole result of the discovery was that we added logic to the circuitry such that the theta recorder could not turn on if alpha or beta energy was also present in the EEG, i.e., it would only trigger on “pure” theta. The goal was a system that would be able to present verbal affirmations outside the awareness of the critical screening. It is interesting to speculate how and why my brain suddenly learned to hear the theta message. Present day neurofeedback has indicated the brain’s remarkable degree of plasticity and its ability to change its EEG patterning. Taking into account everything we uncovered in the research from the many areas investigated, we designed, together with John Picchiottino, an EEG biofeedback system that would detect 4-7 Hz theta EEG over the left hemisphere and then turn on a tape recorder with the affirmation message. The tape recorder would turn off instantly if the theta energy changed toward increasing arousal as characterised by increasing alpha and beta energy. This change in the EEG would mean that the conscious critical screening “shields” were going up and the acceptance of the affirmations would be blocked. To guard against the subject falling asleep the system was designed to cause the volume of the message to increase as the theta frequency decreased toward delta or if the theta amplitude increased. This “bump” circuit also had a second function. There was research to show that if a learner were to experience an increase of adrenalin right after the learning had taken place, then he or she would better remember the material (Budzynski, 1976; Koukkou and Lehmann, 1968). It is as if the “bump up” in arousal helped store the material in long-term memory. Finally, the therapist can watch the alpha/theta meter and inject his/her own voice through a mike to the client’s headphones if he/she does not wish to use the audiotape. It may be instructive to look at some actual case studies to gain insight into how the T-L procedure works. These cases span more than 20 years of clinical practice. The Scientist with the Dual Goals: HK, a 55 year old researcher was seen in the clinic for chronic back pain. He had heard of Twilight Learning and wanted to try it for his pain problem. His back pain did not extend down his legs which hinted at a possible psychogenic factor. Moreover, HK also wanted to add suggestions for weight control because he had been more than 30 pounds over his ldeal weight for 25 years. The change messages were presented together although he was warned that usually we didn’t do multiple goals in the same session, however, HK was concerned about the cost of the therapy and “would take his chances.” After two per week sessions for three weeks HK reported that the back pain was lessening. During the eighth session he demonstrated that he could touch the floor with his fingers. There was no more back pain and the only thing that kept him from reaching the floor easily was his girth which had not changed. Three more sessions did not produce any change in his weight and he decided to terminate therapy satisfied that the troublesome back pain had ceased. As we discussed the weight problem in the last session HK stated that his wife was also overweight and they had, after 32 years of marriage, settled into a comfortable relationship in which eating out had become their primary pleasure. It was then obvious that a significant loss of weight might endanger the dynamic of the relationship. Somehow HK’s unconscious was wiser than we. This outcome caused us to more carefully examine the possible effects of changing an individual through T-L. After defining goals we now ask the client to imagine himself having achieved the goals and interacting with family, friends and fellow workers. If the new persona doesn’t feel comfortable we discuss the situation and possibly change the goal somewhat before starting the T-L sessions. In subsequent T-L sessions phrases such as, “It’s OK to say no,” “Saying no is good sometimes,” “I can say no when I want to,” and “I can say no to my father,” were presented during theta. After 5 of these sessions the anxiety associated with turning down an authority figure had vanished. This case illustrates that a T-L session can result in material “welling up” from unconscious memory stores. This unrepressed trauma memory material can then be woven into the rescripting suggestions that will follow in subsequent sessions. A careful debriefing after each session is needed to identify these often subtle and fleeting feelings and images. The Grad Student Who Couldn’t Pass the Spanish Exam: Graduate students at most universities need to pass exams on two foreign languages before they can get their Ph.D.s. Mr. LG, a 24 year old, had already flunked the Spanish exam. He had only one more chance to pass. However, he found it impossible to even sit down to study, because the anxiety would build quickly. The T-L sessions were of two kinds: presentations of Spanish words and English equivalents and the presentation of suggestions that he would be able to relax and study the material and retain it for the exam. There were approximately 4 sessions of each type, and he easily passed the exam. However, we later found that a twilight state is probably not ideal for rote learning, whereas attitudes about studying are more effectively changed. The Self-Sabotaging Businesswoman: A local newspaper happened to do an article on Twilight Learning in which it was said that some individuals suffer from negative scripts from the past that often undermine present adult behaviour. There was a surprising response to the article from a large number of readers consisting primarily of professional females. Ms. NP, a 34 year old middle level manager in a computer hard drive company, was typical of those clients. Her complaint was that after reading the article she realised that she had been sabotaging her own success over the last 10 years. Dropping out of graduate school to move away with her lover she found that she soon tired of keeping house for him in another town and sought a job of her own. NP, a bright individual, rose rapidly through the ranks to become a supervisor whereupon she reported that she had a basic disagreement with her female supervisor and was soon thereafter let go as the company downsized slightly. As she recalled, there were at least two other incidents where self-sabotage hindered or even temporarily stopped her progress. She wanted to end this self-induced maladaptive behaviour. After 12 sessions NP became aware of a new feeling of self-worth and a significant decrease in the anxiety she felt in the working environment. A six month follow-up found NP reporting no evidence of self-sabotage. In fact, she had received a promotion and a bonus. It has long been known in the hypnotic literature that subjects given amnesia for post-hypnotic suggestions are more likely to carry out the suggestions than those subjects who were allowed to remember them. It would seem that when the conscious brain is aware of the suggestions, the defenses may interfere with their implementation. In the same fashion the defenses of certain clients might reject the affirmations if known by the conscious mind before the T-L sessions. These clients would benefit more by having the therapist make up the affirmations and record them without the client knowing the exact affirmations. Conversely, another type of client insists on generating, with the help of the therapist, the actual phrases, and even wants to record them in his or her own voice. The most common choice however, is for the client to speak of the goal(s) to be achieved and then allow the therapist to generate the phrases and go over them with the client before the T-L sessions. The Man with No Life: Perhaps the most satisfying case was NW, a 46 year old single man who worked as a printer’s helper and lived in a boarding house. He had survived a brutal childhood on a Kansas farm where his father beat him and repeatedly told him he was no good and “wouldn’t amount to anything.” Close to monosyllabic, NW spent all his meager wages on therapy. He had tried seven years of psychoanalysis and four years of Scientology yet still felt terribly alone and unhappy. He had no friends and no hobbies. NW came to us expressly for Twilight Learning after having read about the technique in an article about biofeedback in a local newspaper. The positive script was difficult to develop because NW had an extremely negative self-image. He strongly objected to the statement, “I am good” because he said he was definitely not good. After approximately 10 minutes NW announced that he could live with the statement, “I am adequate.” We finished the session with NW asking for the specifications for an appropriate script because he wanted to do it at home and bring it to the next session. He had been told by us that the right hemisphere of the brain was thought to be the seat of unconscious process and the right brain processed voice intonation contours such that an effective set of affirmations might be spoken with a good deal of intonation. Surprisingly he came back with a verse that he actually sang while accompanying himself on an old guitar which he had not touched in 25 years. The verse was quite well done and incorporated most of the phrases we generated in the preceding session. After six T-L sessions NW said something happened at work. He had injured a finger because he was not attending to the job. He said he was thinking about finding a better job. After the 9th session he felt he had experienced enough change to terminate therapy. A man of few words, NW gave us no clue as to progress other than, “he was feeling and thinking differently.” Six months later we called the printer’s shop (he gave us no home phone) and they told us he now worked at another print shop and we then called there to reach him. Now NW was willing to talk some and told us that he had a better job, was living in his own apartment, and had joined a bowling and fishing group at work. We considered that a very successful outcome. The case of NW illustrates the importance of allowing the client to play a major role in creating the affirmations, in fact, it may be very important for some clients to actually record the phrases on the tape in their own voices. We ask the client to choose which type of presentation he/she feels would be most effective. As we refined the T-L procedure we were cognisant of the fact that the verbal comprehension capability of the right or nondominant hemisphere was much less than that of the verbal, left hemisphere. Consequently we studied the aphasic literature to learn what individuals with damaged left hemispheres could understand. We found that the intact right hemisphere had difficulty with negatives, especially double negatives. It also had trouble with abstract, low frequency (not frequently used in everyday speech) words. The right brain responds to nouns and action verbs, especially if the sentences or phrases are spoken with a great deal of voice intonation, rhythm, or emotion (Blumstein & Cooper, 1974; Zaidel, 1985). A useful technique for getting aphasic patients to understand is called Melodic Intonation Therapy or MIT. Thus, patients would be taught to “sing for their supper.” The right hemisphere is also specialised for handling “degraded” information such as subliminal presentations. As far as we know there has been only one dissertation (DeHaan Bearden, 1985 unpublished) that incorporated Twilight Learning (at least three other T-L dissertation proposals at different universities were not allowed because of one or more committee members declaring it was brainwashing or mind control). While working with alcoholic clients at the Center for Alcohol Rehabilitation and Educational Services in Medford, Oregon, Rita Sullivan (now DeHaan Bearden) decided to combine T-L with subliminal process (or priming tapes as they might now be called) for her Ph.D. dissertation for International University, San Diego. The subliminal audiotapes were of two themes: one contained left/right messages that focused on overcoming alcoholism and the other contained primarily self-esteem enhancing suggestions. As prepared by Budzynski, the affirmations were placed approximately 15-20 db below a mountain stream sound. When used with the T-L unit, the tapes would be “heard” only when the subject showed theta energy over (at least) the left hemisphere. The fascinating idea that addictions such as alcoholism are so deep seated that change affirmations must be doubly-guarded from at least some critical screening defenses extending down and still operative in twilight sleep, must have occurred to Dr. Sullivan. In addition to the two groups mentioned above there was a control group which received the typical alcoholic treatment (as did the other two) but no T-L. Because the tapes were subliminal the study could be, and was, double blinded. Sullivan gave the two T-L groups three preliminary relaxation training sessions and then continued with five T-L sessions. Figure 3 shows the decrease in alcohol consumption in the three groups pre-post and in a 3 month follow-up. Greater increases in quality of life and adjustment to work were seen as well. Taken as a whole the results showed a significant trend in the desired direction although no one measure alone reached significance. It is quite possible that with a larger number of training sessions the results could have reached significance. “1. Move first into a state of EMG quietness and peripheral warmth. 2. While in this state, construct the visualisation that is to be planted in the unconscious, a visualisation that has already been carefully planned by the cortex, with ambiguities eliminated (for the unconscious is like a computer in some ways, and tends to take instructions literally). 4. Gently project the visualisation into the “field of mind” as a Gestalt, with as little left-cortex activity as possible. 5. Terminate the session with a quiet command, such as “do it,” “so be it,” “the instruction is now terminated,” or the like, in order to terminate unconscious receptivity (similar to using the “enter” key in programming a computer). 6. Bring awareness back to the surroundings carefully so as not to disturb the planted instruction” (pp. 575-576). Separated in time by 18 years the two techniques have some common characteristics and some differences. 1. Both involve the absorption of positive content material while the client manifests primarily a theta or alpha/theta EEG pattern (a twilight state). 2. The T-L positive change verbal affirmations are developed by the client and therapist together. In the Peniston Protocol each of the change message image templates as determined by Peniston is personalised by the client, so that just as with the T-L scripting, the Peniston scenes are a creation of both the therapist, using Peniston’s templates, and the client. 3. Both techniques assume that certain characteristics of the theta or alpha/theta EEG pattern allow a more effective absorption of the material. 4. The “bump” feature of the T-L assures that at intervals the client will be boosted to a higher cortical arousal at which time the unconscious material that may have emerged can be integrated into the adult psyche and the affirmative material stored in long-term memory (although perhaps on the unconscious level). In like fashion the client using the Peniston Protocol typically moves up and down the cortical arousal continuum with some material emerging to be integrated and the imaged material stored in long-term memory at least part of the time. 4. Both T-L and the Peniston Protocol (P-P) assume a deeper, more lasting learning process than would be obtained with the material presented during the normal waking state. 5. This learning manifests more in the emotional and attitudinal realms than the verbal. Behavioural changes are more automatic or unconsciously guided rather than consciously directed. 1. The material presented in the T-L procedure is of a tape recorded or therapist-spoken verbal form, although associated visual imagery almost always develops spontaneously. The P-P uses goal imagery as its rescripting medium. 2. The Twilight Learning technique can be used in an automatic mode in which the presentation of the material is contingent upon the system detecting the presence of theta EEG. If theta is not present the material is not presented. If the theta drops out the verbal presentation is stopped also. The T-L system thus determines if the appropriate EEG pattern is manifest before the material is presented. In the case of the Peniston Protocol the client is often unaware of whether the correct EEG pattern is present because of the lowered cortical arousal level and/or because he or she is trying to focus on the imagery. 3. Because the self- produced imagery in the Peniston Protocol is not automatically stopped and started, it is possible that a certain percentage of the time the client’s arousal level slips back up to full consciousness with the result that the imagery acceptance may be blocked by the more conscious critical screening. 4. The T-L system incorporates a sleep guard (the “Bump”) which prevents the client from falling asleep. It proportionally increases the audio volume as theta decreases in frequency and/or increases in amplitude. Typically the volume increase bumps the cortical arousal up to alpha or beta at which point the tape recorder is stopped. After a short interval the client falls back into the theta state and the tape recorder is started again. This cycling back and forth across the alpha/theta border is characteristic of the T-L experience. Interestingly, this very characteristic is identical to what Rubin (1968) noted was the most efficient sleep-learning pattern found in a large number of Russia studies. The Peniston Protocol as originally detailed involved the therapist leaving the room as the client “entered theta” and attempted to take in the structured imagery with him. The client might easily fall asleep under these circumstances and remain there for the rest of the session. 5. The Peniston Protocol requires about 30 alpha/theta feedback sessions following the 6 sessions of hand temperature and imagery training. As originally conceived in 1970, the Twilight Learning incorporated 6-12 sessions and frontal EMG feedback was provided only if the client had relatively high facial tension. Earlier work in our biofeedback lab at the University of Colorado Medical Center had shown that individuals with low forehead EMG could transition easily into theta as they relaxed whereas those with high EMG levels required preliminary frontal EMG biofeedback or they would not be able to produce theta (Sittenfeld, Budzynski & Stoyva, 1976). Peniston’s work shows that perhaps 30 sessions of T-L training may result in a higher success rate than the 6 – 12 as we originally thought. 6. Finally, one technical point that might be important: We designed the T-L’s logic such that it would not allow the verbal presentation if alpha or beta energy was mixed with the theta. In other words, we wanted “pure” theta because we reasoned that “adulterated” theta allowed a certain amount of consciousness (and therefore critical screening) to counter the affirmative material. The feedback units in the Peniston research probably allowed theta feedback (tone) even when the theta was mixed with higher frequencies. But, was this all bad? It would appear that the occurrence of beta or alpha in the presence of primarily theta energy allows the conscious mind to play a role in the processing of the incoming material as well as any emergent feelings or images from the unconscious mind. Of course with consciousness comes the critical screening, like the “little voice” mentioned above, e.g., “No, you’re not really like that,” or “It won’t last for long,” etc. This can even reverse the effect of the suggestions. On the other hand, if extremely traumatic feelings and memories break through repressive bounds the fact that there is some consciousness available to help integrate the material may help avert an uncomfortable abreaction. But, there is a tradeoff. Peniston and Kulkowsky’s (1991) research with Viet Nam veterans suffering from PTSD has demonstrated the need for some degree of beta consciousness, at least by the end of the session, to help soften the abreaction. The tradeoff is if there is too high a level of consciousness during the session the trauma material may never emerge to be integrated. It will therefore continue to cause trouble for the client. Modern neurotherapy techniques however, can meter the degree of consciousness by means of the theta/beta ratio. An increasing ratio above a certain level indicates the possible breakthrough of such material. The neurofeedback computer can be set to sound an audio tone when the ratio goes too high. Access to unconscious material can then proceed without excessive abreaction. NOTE: Some therapists feel quite confident in working with abreactions and therefore welcome an increasing ratio. The Twilight Learning process also allows access to unconscious material. If one of the goals in a particular session is to uncover unconscious trauma memories, the client is instructed to give a quiet verbal response of one or two words if any hypnagogic material is noticed. At the end of the session the client can usually flesh out the imagery corresponding to the word cues. Given the set for uncovering dissociated material, the resulting hypnagogic imagery may be an actual memory or a highly disguised derivative of the memory. The hypnagogic imagery in the case of the “businessman who couldn’t say no” described above involved this sort of uncovering. During one of these early sessions he drifted into a “theta state.” Soon thereafter he softly whispered, “No!” During the debriefing afterward he was able to recall that the long, drawn-out negative was associated with the childhood memory when he had said “no” to his father and received a vicious slap across his face for so doing. He recalled that the slap not only stung and left his ear ringing, but caused him to feel embarrassed and shamed. It appeared obvious to the boy that his father hated him at that moment – – hated him for saying “No.” It is not surprising that an early trauma of this sort could result in an inability to say no to authority figures throughout life. The Manager whose Mind Blanked: One of the most intriguing examples of fear of authority was a 52 year-old master machinist whose many patents caused him to be promoted to management status whereupon his troubles began. His complaint was that during certain negotiations he would suddenly go blank and couldn’t think. With a set for recovering whatever images he could during a twilight learning session, he verbalised, “beating” about 15 minutes into the session. We had already ascertained during the intake that he had grown up in Poland during the horrifying German occupation in World War II so we suspected that the beating cue might be associated with those years. Although the post session debrief revealed that the client could not immediately recall the trauma, a “tracking” of the T-L generated cue word allowed him to remember that something horrible had happened during the war. At this time he could only say that he lost his mother and father during the war and was reunited with his sister afterward. The sister had died recently in Europe. He believed his parents died in a concentration camp but he had a “blank” for the actual events preceding this. In his next Twilight Learning session the set was to remember more details and that he would be able to handle whatever came up. Approximately five minutes into the primarily theta pattern he said quite distinctly, “They beat him – – the Nazis beat him – -in the basement.” The T-L session was terminated immediately as the client was quite agitated. He was then able to recall the entire memory of how the Gestapo came to their home and started to pummel his father. They knocked him down the basement stairs and continued to beat him in the basement. The boy, his sister and mother were ordered to remain upstairs. With feelings of rage, helplessness and shame the boy finally blanked out. He remembered that when he “came to” his mother and sister were ministering to the dying father in the basement. The next day the Gestapo returned and took the mother. Once again the boy felt helpless. The children huddled together in terror for two days when a neighbour told them they must flee for the Gestapo were coming for them. As they ran down the street the sister fell and was caught by the agents. The boy was snatched by a farmer who was driving his truck back to the farm. The farmer hid the boy through the war. He never found out why the Gestapo wanted his family. As the client related the story he unleashed a torrent of fist pounding emotion with tears and cursing. Finally he quieted and that session was ended. In the two subsequent sessions, later that same week, we discussed the fact that in the face of such overwhelming odds he automatically entered a state in which his conscious mind escaped the horror. We also rescripted the event and the client saw himself heroically fighting the Gestapo agents in a valiant effort to defend his family. The satisfying result of the therapy was that the client no longer “blanked out” when negotiating with unreasoning authority figures. Source: Budzynski, T.H. (in press). Twilight learning revisited. In R. Kall, J. Kamiya, & G.E. Schwartz (Eds.). Applied Neurophysiology and Brainwave Biofeedback. Bensalem, PA: Futurehealth, Inc.
Electroencephalographic (EEG) biofeedback has been in use since the early 1970’s for treatment of anxiety disorders and a variety of psychosomatic disorders. Early work conducted by researchers such as Kamiya and Kliterman focused on alpha wave biofeedback (Kamyi & Noles, 1970). Much of this initial research associated changes in EEG state with different states of consciousness (Basmajian, 1989). Researchers learned that certain tasks, such as mental arithmetic, reduce or suppress alpha wave production. Furthermore, researchers found that these changes in brain activity were positively correlated with changes in electromyographic (EMG) activity and skin temperature. This finding was significant in that it suggested that brainwave activity could be operantly conditioned in the same manner as EMG or temperature. Alpha waves are smooth, high amplitude waves in frequency range of 9-13 Hertz (Hz). Alpha wave biofeedback was explored by some researchers, as a treatment adjunct for alcohol abuse (Passini, Watson, and Dehnel, 1977). There were two theoretical rationales: first, investigators had reported that EEGs of alcoholics were “deficient in alpha rhythms and alcohol use induced more alpha wave activity (Pollock, Volavka, Goodwin, et al., 1983). Clinicians speculated that alcoholics might drink less if they could be taught to produce more alpha waves (Jones & Holmes, 1976). Secondly, many alcoholics and other drug abusers reported using alcohol or other drugs to relax. Thus, biofeedback training was proposed as a way teach alcoholics an alternative to using alcohol to relax. Alpha training did not, however, appear to be of benefit to most alcohol abusers because they were unable to learn to increase their production of alpha waves. Various types of relaxation training and/or stress reduction techniques have been used in the treatment of alcoholism. 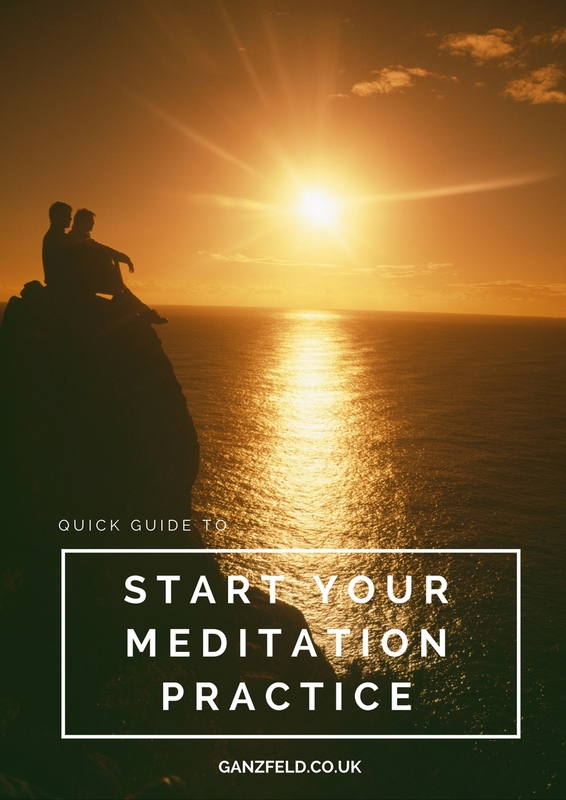 These techniques include progressive relaxation training (Klajner, Hartman, & Sobell, 1984), meditation (Wong, Brochin and Gendron, 1981), Hypnosis (Wadden & Penrod, 1981), and alpha wave feedback training (Passini, Watson, Dehnel, Herder & Watkins, 1977; Watson, Herder, & Passini, 1978). Several studies have investigated the effects of alpha biofeedback training in the treatment of alcoholism (Passini et al., 1977; Watson et al.,1978). The theoretical rationale for the use of relaxation procedures has usually included two assumptions: (a) that substance abuse is caused or exacerbated by stress and anxiety, and (b) that relaxation training is effective because it reduces anxiety and increases an individual’s sense of perceived control over stressful situations (KIajaer et al., 1984). Results indicate that alpha training reduces chronic anxiety and does appear to have some long range therapeutic effects on anxiety levels. However, even though there has been some evidence of positive findings attributable to the use of these relaxation techniques, many of the studies involved poor methodology and results are equivocal at best. Interest in the combination of alpha-theta training evolved from investigation of sleep and creativity (Budzynski, 1973). One earlier study found that, as individuals became drowsy, their brain waves commonly changed from high-amplitude alpha to low-amplitude theta (Vogel, Foulkes, & Trosman, 1966). During the transition, some individuals experienced a hypnogogic state in which they had vivid visual imagery and auditory and visual hallucinations. Investigators studying creative individuals noted that when their subjects were in a state of “reverie,” they produced increased amounts of 6-8.5 Hertz (Hz) activity (Green, Green & Walters, 1970). In an effort to facilitate production of the reverie state and hypnogogic imagery, the investigators developed an alpha-theta biofeedback system that provided information to the subject about both alpha and theta production. As memory for the content of images in the hypnogogic state is often poor, subjects were asked to verbalize the imagery. The investigators thought that the production of the alpha-theta twilight state “should prove to be a powerful technique for the study creativity enhancement in particular, and the hypnagogic state, in general.” They suggested the possibility of using the alpha-theta state for psychotherapy (Budzynski, 1973). Alpha brainwaves are smooth, high-voltage brainwaves in the frequency range of 9-13 Hertz. Some research suggests that alpha brainwaves are associated with a subjective state of relaxed alertness or tranquillity (Brown, 1970; Stoyva and Kamiya, 1968) while other research suggests that alpha brainwaves are not associated with any particular subjective physiological state (Walsh, 1973). The theta rhythm state is defined as a dominance for 4-7 Hertz brainwaves. Transient elevation of theta occur during Zen meditation (Kassamatsu & Hirai, 1969) or while entering the early stages of sleep and are reported to be associated with vivid visualization, imagery and dream-like states. The origin of theta waves is predominately the hippocampus (Michel et al., 1991), although theta activity can be recorded throughout the cortex and cerebellum (Green, Green & Walters, 1971). In the late 1980’s, the advances in digital processing technology gave clinicians and researchers biofeedback equipment that significantly improved the quality of EEG neurofeedback signal compared with that previously available using analog filters. The availability of high-speed desktop computers opened new possibilities for neurofeedback training and research. New neurofeedback equipment incorporated high-speed analog-to-digital converters and computers for data logging and the creation of data displays using fast-fourier transforms. In addition, some neurofeedback equipment could now automate data logging and session statistics. It was during the late 1980s and early 1990’s that Peniston and Kulkosky developed an innovative therapeutic EEG alpha-theta neurofeedback protocol (Peniston & Kulkosky, 1989, 1995) for the treatment of alcoholism and prevention of its relapse. The Peniston/Kulkosky brainwave neurofeedback therapeutic protocol combined systematic desensitization, temperature biofeedback, guided imagery, constructed visualizations, rhythmic breathing, and autogenic training incorporating alpha-theta (3-7 Hz) brainwave neurofeedback therapy (Blankenship, 1996; Peniston & Kulkosky, 1989, 1990, 1991, 1992; Saxby & Peniston, 1995). These investigations prompted a reexamination of EEG neurofeedback as a treatment modality for alcohol abuse. Successful outcome results included a) increased alpha and theta brainwave production; b) normalized personality measures; c) prevention of increases in beta-endorphin levels; and d) prolonged prevention of relapse. These findings were shown to be significant for experimental subjects who were compared with traditionally treated alcoholic subjects and non-alcoholic control subjects. Subjects in several studies were chronic alcoholic male veterans, some of whom also suffered from combat-related posttraumatic stress disorder. For many subjects, pharmacological treatment was not generally beneficial. Data suggested that alpha-theta brainwave neurofeedback training appeared to have potential for decreasing alcohol craving and relapse prevention. Consider the following experiment that examined the Peniston/Kulkosky EEG alpha-theta neurofeedback protocol with a sample of chronic alcoholics. There were three interventions utilized with this group of subjects including: (a) alcoholic alpha-theta brainwave neurofeedback therapy (PKBWNT), (b) traditional psychotherapy, and (c) non-alcoholic control group. Subjects were age matched and evaluated for alcoholic history, number of prior hospitalizations, IQ, and socioeconomic status. Before and after treatment subjects were given the Beck Depression Inventory (BDI), the Millon Clinical Multiaxial Inventory (MCMI), and the Sixteen Personality Factor Questionnaire (I6PF). Subjects were also tested for EEG characteristics and serum radioimmunoactive beta-endorphin levels. This investigation showed enhanced percentages of alpha and theta waves in the EEGs of the PKBWNT group after treatment compared to pretreatment status. The control group showed no such increase. Alcoholic subjects receiving PKBWNT also showed a gradual increase in alpha and theta brain rhythms as the thirty experimental sessions progressed. The increase in alpha and theta activity were desirable outcomes of this study. The theta increase may have made the visualization experiences (which were part of the training and discussed at the end of each training session) easier to access and more effectively integrated and processed. It was concluded that alpha training may promote a more relaxed state and lead to better perceived control of stress; this may, subsequently, decrease the occurrences of stress-related drinking or stress-related craving in the recovery phase. The PKBWNT group had shown sharp reductions in self-assessed depression (BDI) and sustained abstinence with significantly less relapse episodes (2/10) than the traditional therapy group (8/10) in a 36-month follow-up study. The traditional therapy group showed a significant elevation in serum beta-endorphin levels at the end of treatment compared to their own pretreatment levels as well as the repeated measurement levels of the non-alcoholic control group. (The beta-endorphins are stress-related hormones and are elevated during the experience of physical or emotional stress. Successful treatment would stabilize beta-endorphin levels, so that stress-related increases would be less likely to occur.) Since elevations in serum beta-endorphin levels are associated with stress, their elevation in the traditional therapy group may indicate that this group is experiencing the stress associated with abstinence and fear of relapse. It is interesting that the PKBWNT group did not show an increase in this stress hormone after treatment, but instead showed a stabilization (Peniston & Kulkosky, 1989). On the MCMI and l6PF, prior to treatment, both groups of alcoholics showed significantly higher scores (in the pathological ranges) than non-alcoholics on most of the clinical scales and characteristic scales. Administration of PKBWNT was accompanied by significant decreases in all of the MCMI clinical scales (i.e., within normal limits) and normalization on the 16 PF characteristic scales. Alcoholics receiving traditional therapy showed significant decreases only in two MCMI scales (avoidant and psychotic thinking) and an increase on one MCMI scale (compulsive), and showed only a significant increase on the l6PF in concrete thinking (Peniston & Kulkosky, 1990). Evidence corroborating some of the findings from the aforementioned experiment come from the work of Fahrion (Fahrion et al., 1992). EEG alpha-theta brainwave neurofeedback therapy (Peniston/Kulkosky protocol) had also been employed in a clinical study using twenty male Vietnam combat veterans with a dual diagnosis of posttraumatic stress disorder and alcohol abuse. A goal of that study was to determine the efficacy of brainwave training in developing brain region synchronization and altering amplitudes of intrasubject brainwaves. It was discovered that during sessions in which patients reported abreactive imagery, the PKBWNT sessions displayed a statistically reliable interaction seen as a “cross-over” pattern in which theta waves gradually increased and the alpha waves decreased. This pattern identifies a state of consciousness which is believed to optimize the surfacing of abreactive images. A follow-up study revealed that only three of the twenty experimental patients had relapsed to alcohol by twenty-six months after PKBWNT (Peniston et al., 1995). In addition to the aforementioned clinical studies, the Peniston/Kulkosky protocol was employed in private group practice in the treatment of fourteen depressed alcoholic outpatients (8 males and 6 females) (Peniston & Saxby, 1995). After training, subjects showed significant improvement on BDI scores. At 21 months after PKBWNT training, only one subject was observed to relapse. Other clinical studies using the alpha-theta brainwave neurofeedback therapy (Bodenhamer-Davis & deBeus, 1995; Blankenship, 1996; Peniston & Kulkosky, 1990; Peniston et al., 1993; Saxby & Peniston, 1995; Sealy et al., 1991; Sullivan, 1993; White, 1993, 1995) provide promising evidence for the effectiveness of the alpha-theta brainwave therapeutic protocol in: a) changing EEG scores and self-assessed depression; b) stabilizing serum beta-endorphin levels and; c) producing long-term prevention of alcohol relapse. PKBWNT also produced significant personality changes, reductions in the need for psychotropic medications, some relapse prevention of PTSD symptoms, and in some studies, optimized the surfacing of abreactive images in Vietnam theater combat veterans. The recent ten year follow-up clinical evaluation of the original Peniston/Kulkosky alpha-theta brainwave neurofeedback (Peniston & Kulkosky, 1989) clinical study confirmed the long-term effectiveness of this therapeutic intervention. Such a success rate of a treatment modality has never before been achieved. The Peniston/Kulkosky EEG alpha-theta neurofeedback protocol (Peniston & Kulkosky, 1989,1995) is being used by many practitioners to treat alcohol and other psychoactive substance disorders. Some alcohol treatment programs using the Peniston/Kulkosky EEG alpha-theta neurofeedback protocol as a primary treatment modality for alcohol addiction have demonstrated that intensive neurofeedback-based treatment has exerted a positive influence on a number of factors which contribute to alcohol intake including stress levels, depressive personality traits, beta endorphin output, resting levels of alpha and theta brainwaves, and prolonged abstinence (Boeving, 1993, 1994; Blankenship, 1996; Day & Cook, 1997; Dyers, 1992; Fahrion, 1995; Finkelberg et al., 1993; Peniston & Kulkosky, 1989, 1990, 1991; Peniston, 1993; Rodenhamer-Davis et al., 1995; Saxby & Peniston, 1995; Sealy, Bernstein & Magid, 1991; Shubina et al., 1997; Sullivan, 1993; White, 1995; Wultke, 1992). Data supporting the efficacy of the Peniston/Kulkosky method are of particular interest for the treatment of substance abuse because successful outcome is being discovered with patients who are difficult to treat in traditional alcohol treatment programs including patients with postttraumatic stress disorder (Peniston and Kulkosky, 1991) and chronic alcoholic problems (Peniston and Kulkosky, 1989, 1990; Saxby & Peniston, 1995). If the EEG alpha-theta neurofeedback training protocol can increase the retention of patients in alcohol treatment programs and decrease the relapse rates of alcoholism, then this form of behavioral treatment would be a significant new therapeutic intervention for clinicians. Traditional interventions for alcohol dependency have often resulted in high attrition rates and release rates (Alford, 1980; Emrick & Hanson, 1983; Marlatt, 1983; McLachlan & Stein, 1982; Miller & Hester, 1980; Moos & Finney, 1982, 1983;Vaillant, 1983). Although psychopharmacological treatments for alcohol dependence are being investigated by many individual researchers and by NIDA’s Medications Development Division, at present no psychopharmacological agents have been established as safe and effective for treatment of alcohol dependence. This is an additional reason for making the development of effective treatments for alcohol dependence a high priority. Alcohol abuse is associated with cirrhosis (e.g., liver), fetal alcohol syndrome, several alcohol-related illnesses, and various types of accidents (e.g., motor vehicle). New treatment strategies that would attract alcohol users to treatment and keep them in treatment would be of immense value in reducing alcohol-related morbidity and mortality among the American population in the United States. The PKBWNT represents cutting edge methodology which has moved from the preoccupation with the voluntary muscular and autonomic nervous system to the central nervous system, and in particular to alpha-theta brainwave neurofeedback. It has been indicated that the self-induced reverie state (i.e., theta state of consciousness) which the PKBWNT protocol produces, makes it possible for patients to regain some control of their behaviors and improve the outcomes of treatments for several disorders including: (1) alcoholism; (2) depression; (3) combat-related PTSD syndrome and; (4) bulimia nervosa. My associate, Paul Kulkosky and I have found that combining temperature biofeedback, guided-imagery, constructed visualization, autogenic training and systematic desensitization with alpha-theta brainwave neurofeedback and booster sessions contributed to sustained prevention of relapse in alcoholics and posttraumatic stress disorder. The conflict between productivity/cost efficiency and quality of care will intensify in the future. At the level of individual practitioners, managed care in healthcare will require seeing more patients, for shorter treatment sessions, over shorter time-frames. As always, the goal of maintaining and improving outcomes, is paramount. The emphases on preventive health care and on outpatient treatment will resemble the broader healthcare environment. Skills in assessment, particularly in areas of neuropsychology and in behavioral medicine will be preferred. Skills in briefer cognitive-based therapies will be desirable. Most mental health care plans will explicitly call for a reduction of bed days of care. This may result in an increase in the need for community-based clinics for acute and longer-term mental health/substance abuse treatment, PTSD treatment programs and behavioral medicine programs. These clinics can serve as alternatives to treatment in private, government, or psychiatric hospitals. It is suggested that neurofeedback therapy can become the future alternative choice of treatment for subgroups of addicts who are alienated by the religious overtones of traditional 12-step recovery programs. Moreover, such an intervention may prove to be more useful for treating depression, posttraumatic stress disorder, learning disabilities, attention deficit disorder (ADD), eating disorders and psychosomatic health problems. The PKBWNT has been scientifically proven, for some disorders, to be a more efficient therapeutic intervention (when compared to traditional psychotherapy), and is more cost-effective over the long-term. PKBWNT attempts to address causes rather than symptoms of disorders. Neurofeedback therapy works by assisting one’s own mind-body connection to heal itself as opposed to relying on the use of medication. Insurance company guidelines, however, tend to devalue psychotherapy, particularly long-term therapy, by limiting the number of sessions that a person can utilize in a year and by dictating which professional will provide the therapy. This means that patients may end up paying money out of pocket for therapeutic treatment (that they may truly need) or go without treatment altogether. Manage care companies may also suggest psychotropic medications to patients for several reasons (e.g., to minimize the costs of therapy). PKBWNT protocol is a unique treatment because the frequency, cost, and length of therapy is effective and well-controlled. The future of PKBWNT holds even greater promise for the refinement of our present knowledge about alpha-theta brainwave training. Moreover, it may facilitate treatment and research with cognitive and emotional dysfunction and in the areas of behavioral medicine. The neurofeedback therapeutic modality requires intensive training in the Peniston/Kulkosky alpha-theta brainwave neurofeedback therapeutic protocol. This consists of a period of continuous supervision with a variety of clients and close monitoring by a properly trained licensed Psychologist or Psychiatrist. Other therapists can use the technique with regular supervision and only under the direction of the aforementioned licensed professionals. Therapists who are not properly trained and supervised in the PKBWNT protocol in the mental health specialties, run the risk of their clients experiencing and suffering from some debilitating side effects including: depression (result of too much theta feedback); experiences of depersonalization; tunnel vision and other experiences reflecting immediate dissociative responses to trauma; alteration of time; disorientation; confusion; altered pain perception. Alfor, G.S. (1980). Alcoholics anonymous: An empirical outcome study. Addictive Behaviors, 5, 359-370. Armor, D.J., Polich, J.M., & Stambul, H.B. (1978). Alcoholism and Treatment. New York: Wiley. Basmajian, J.V. (1989). Biofeedback: Principles and Practice for Clinicians. Baltimore: Williams and Wilkins. Blankenship, B. (1996). Court loan approved for drug program. The Topeka Capital Journal (July). Bodenhamer-Davis, E., and DeBeus, M. (1995). Neurotherapy for the treatment of alcohol and drug abuse: Results of a two-year study. Paper presented at the meeting of the Society of Study of Neuromal Regulation, Scottsdale, AZ. Boeving, H. (1993). Watching addiction disappear, Menninger Perspective, 1, 9-11. Brown, B.F. (1970). Recognition of aspects of consciousness through association with EEG Alpha activity represented by a light signal. Psychophysiology, 6, 442-452. Budzynski, T.H. (1973). Sonic applications of biofeedback produced twilight states. In D. Shapiro, T. Barber et al. (Eds.). Biofeedback and Self-Control. Chicago: Aldine Publishing Company, pp.145-151. Byres, A. P. (1992). The normalization of a personality through neurofeedback therapy. Subtle Energies, 3(1), 1-1 7. Day, L. & Cook, J. (1997). EEG biofeedback in the treatment of alcoholism. A single subject design. Paper presented at the Association of Applied Psychophysiology and Biofeedback, AAPB Twenty-Eighth Annual Meeting, March 12-16. Emrick, C.D. & Hansen, J. (1983). Assertion regarding effectiveness of treatment for alcoholism: Fact or fantasy? American Psychologist, 38, 1078-1088. Fahrion, S.T., Walters, E.D., Coyne, L., & Allen T. (1992). Alterations in EEG amplitude personality factors and brain electrical mapping after alpha-theta brainwave training: A controlled case study for an alcoholic in recovery. Alcoholism: Clinical and Experimental Research, 16(3), 547-552. Finkelberg, A., Sakhadze, E.T., Lipatin, A.A., Shubina, 0., Kahorina, L., Shak, A., & Shtark, M. (1993). The application of alpha-theta EEG biofeedback training for psychological improvement in the process of rehabilitation of patients with pathological addictions. Biofeedback: Magazine of the Association for Applied Psychophysiology and Biofeedback, 37. Green, E., Green, A., & Walters, D. (1970). Voluntary control of internal states: Psychological and physiological. Journal of Transpersonal Psychology, 1, 1-26. Green, E., Green, A., & Walters, D. (1971). Voluntary control of internal states: Psychological and physiological. Journal of Transpersonal Psychology, 1, 2-26. Holmes, D. S. (1974). Abnormal Psychology. New York: Harper-Collins. Jones, F.W., & Holmes, D.S. (1976). Alcoholism, alpha production, and biofeedback. Journal ofConsulting and Clinical Psychology, 44, 224-228. Kamyi, J. & Noles, D. (1970). The control of electroencephalographic alpha rhythms through auditory feedback and associated mental activity. Psychophysiology, 6, 76. Kasamatsu, A., & Hirai, T. (1969). An electroencephalographic study of Zen meditation (zazen). Psychologia, 12, 205-225. Klajner, F., Hartman, L.M., & Sobell, M.B. (1984). Treatment of substance abuse with relaxation training: A review of its rationale, efficacy and mechanisms. Addictive Behavior, 9, 41-55. Marlatt, G.A. (1983). The controlled drinking controversy: A commentary. American Psychologist, 38, 1097-1110. Michel, C.M., Lehmann, D., Hengelev, B., & Brandeis, D. (1991). Localization of the sources of EEG delta, theta, alpha, and beta frequency bands using the FFT dipole approximation. Electroencephalography and Clinical Neurophysiology, 82, 38-44. Miller, W.R. & Hester, R.K. (1980). Treating the problem drinker: Modern approaches. ln Treatment of alcoholism, drug abuse, smoking, and obesity, pp. 111-141. Oxford: Pergamon. Moos, R., & Finney, J.W. (1983). The expanding scope of alcoholism treatment evaluation. American Psychologist, 38, 1030-1044. McLellan T.A., I.uborsky, L., Woody, G.E., & O’Brien, C. (1980). An improved diagnostic evaluation instrument for substance abuse patients. The Addiction Severity Index. Journal of Nervous and Mental Diseases, 168, 26-33. McLachlan, J.F. & Stein, R.L. (1982). Evaluation of a day clinic for alcoholics. Journal of Studies on Alcohol, 43, 261-272. Passini, F.T., Watson, C.B., Dehnel, L., et al. (1977). Alpha wave biofeedback training therapy in alcoholics. Journal of Clinical Psychology, 33, 292-299. Peniston, E.G. & Kulkosky, P.J. (1989). Alpha-theta brainwave training and beta endorphin levels in alcoholics. Alcoholism: Clinical and Experimental Results, 13(2), 271-279. Peniston, E.G. & Kulkosky, P.J. (1990). Alcoholic personality and alpha-theta brainwave training. Medical Psychotherapy: An International Journal, 3, 37-55. Peniston, E.G. & Kulkosky, P.J. (1991). Alpha-theta brainwave neurofeedback therapy for Vietnam veterans with combat-related posttraumatic stress disorder. Medical Psychotherapy: An International Journal,4, 47-60. Peniston, E.G. & Kulkosky, P.J. (1992). Alpha-theta EEG biofeedback training in alcoholism and posttraumatic stress disorder. The International Society for the Study of Subtle Energies and Energy Medicines, 2, 5-7. Peniston, E.G., Marrinan, D.A., Deming, W.A., & Kulkosky, P.J. (1993). EEG alpha-theta brainwave synchronization in Vietnam theater veteran with combat-related posttraumatic stress disorder and alcohol abuse. Medical Psychotherapy: An International Journal, 6, 37-50. Peniston, E.G. & Kulkosky, P.J. (1989, 1995). The Peniston/Kulkosky Brainwave Neurofeedback Therapy for Alcoholism and Posttraumatic Stress Disorders: Medical Psychotherapist Manual. Certificate of Copyright Office. The Library of Congress, 1-25. Pollack, V.E., Valavka, J., Goodwin, D.W., et al. (1983). The EEG after alcohol in men at risk for alcoholism. Archives of General Psychiatry, 40, 857-864. Rosenfield, J.P. (1992). EEG treatment of addictions: Commentary on Ochs, Peniston and Kulkosky. Biofeedback: Magazine of the Association for Applied Psychophysiology and Biofeedback, 20(2), 12. Ryan, M. (1996, July). Substance abuse prevention: Putting our minds to it. The Topeka Capital Journal. Saxley, E. and Peniston, E.G. (1995). Alpha-theta brainwave neurofeedback training: An effective treatment for male and female alcoholics with depressive symptoms. Journal of Clinical Psychology, 51(5), 685-693. Sealy, R.C., Bernstein, B.E., & Magid, D.T. (1991). New developments in brainwave training. Paper presented at the Biofeedback Society of New York, Thirteenth Annual Meeting. Shubina, O., Skok, A., et al. (1997). EEG-training in the treatment of additive disorders. Paper presented at the Association for Applied Psychophysiology and Biofeedback, Twenty Eighth Annual Meeting, March 12-16. Silver, S.M., Brooks, A., & Obenchain, J. (1995). Treatment of Vietnam war veterans with PTSD: A comparison of eye movement desensitization and reprocessing, biofeedback, and relaxation training. Journal of Traumatic Stress, 8, 337-341. Stoyva, J. & Kamiya, J. (1968). Electrophysiological studies of dreaming as the prototype of a new strategy in the study of consciousness. Psychological Review, 75, 192-205. Sullivan, A. (1993). Applied psychophysiology in the treatment of chronic alcoholism symposium: Combining psychophysiological and psychotherapeutic methods treating addictive and MICA. Paper presented at the American Psychological Association Annual Meeting, Toronto, Canada, August. Taub, E., Steiner, S.S., Smith, R.B.,Weingarten, E., & Walton, K.G. (1994). Effectiveness of broad spectrum approaches to relapse prevention in severe alcoholism: A long-term, randomized, controlled trial of transcendental meditation, EMG biofeedback, and electronic neurotherapy. Alcohol Treatment Quarterly. Vaillant, G.E. (1983). The natural history of alcoholism: Causes, patterns, and paths to recovery. Cambridge, MA: Harvard University Press. Vogel, G., Foulkes, D., & Trosman, H. (1966). Ego functions and dreaming during sleep onset. Archives of General Psychiatry, 14, 238-248. Watson, C.G., Herder, J., & Passini, F.T. (1978). Alpha biofeedback therapy in alcoholics: An 8-month follow-up. Journal of Clinical Psychology, 34, 765-769. Watson, C., Tuorila, J.R.,Vickers, K.S., Gearhart, L.P., & Mendez, C.M. (1997). The efficacies of three relaxation regimens in the treatment of PTSD in Vietnam war veterans. Journal of Clinical Psychology, 53, 917-923. Walsh, D.H. (1973). Interactive effects of alpha feedback and instructional set on subjective states. Psychophysiology, 11, 235-428. White, N. (1995). Alpha-theta training for chronic trauma disorder: A new perspective. The Journal of Optimal Performance, 2(4), 44-50. Wultke, M. (1992:). Addiction, awakening, and BEG biofeedback. Biofeedback: Magazine of the Association for Applied Psychophysiology and Biofeedback, 20, 18-22. Wong, M.R., Brochin, N.E., & Genfron, K.L. (1981). Effects of meditation on anxiety and chemical dependency. Journal of Drug Education, 11, 91-105. You have nothing to lose but everything to gain.